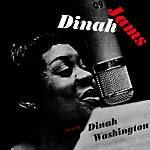 Down At Dawn present a reissue of Dinah Jams, a live release from Dinah Washington originally released in 1955. Recorded live in studio in Los Angeles in 1954, this set shows Dinah Washington leading an all-star band that included Clifford Brown/Max Roach Quintet members Harold Land (tenor sax) Richie Powell (piano), and George Morrow (bass), as well as trumpeters Maynard Ferguson and Clark Terry, alto saxophonist Herb Geller and pianist Junior Mance. Dinah Washington is in top form with her powerful blues-inflected voice covering a set of all-time favorites like "Lover Come Back to Me," "You Go to My Head," and "I'll Remember April". These pieces also represent musically the perfect spark for brilliant solos from each member of the group. Edition of 300.